Why we love it: Think of Kenai Fjords as the best of Alaska compressed into 1,046 square miles (roughly a quarter of the size of L.A. County). Icy blue fjords? Check. Glaciers? Check. Whales, bears, sea otters? Check, check, and check. 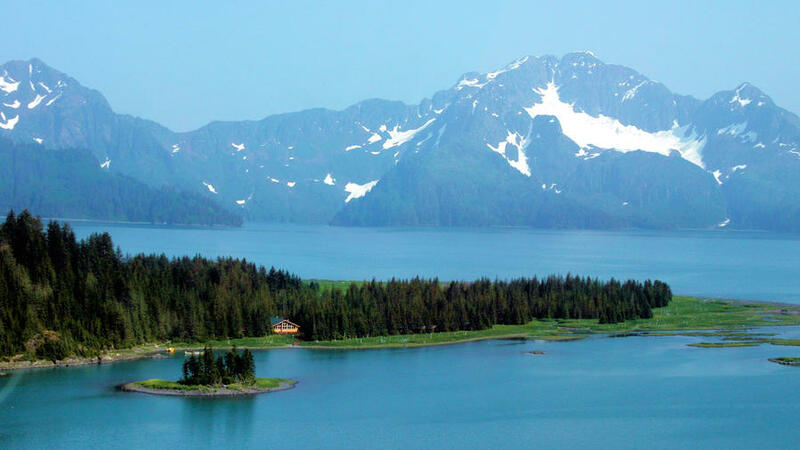 A few years ago, Alaska Wildland Adventures added the only thing Kenai was missing: a nice place to stay. The lodge’s woodsy main building and 16 boardwalk-linked cabins sit on the shore of Pedersen Lagoon, off Aialik Bay. Getting there requires a four-hour boat trip from Seward, which doubles as a whale-watching trip. Once there, options include guided hikes, canoeing, or simply relaxing on the porch, waiting for dinner—menu standouts include olive oil–poached halibut and caribou medallions—and admiring how Alaska has made itself so comfortable for you. 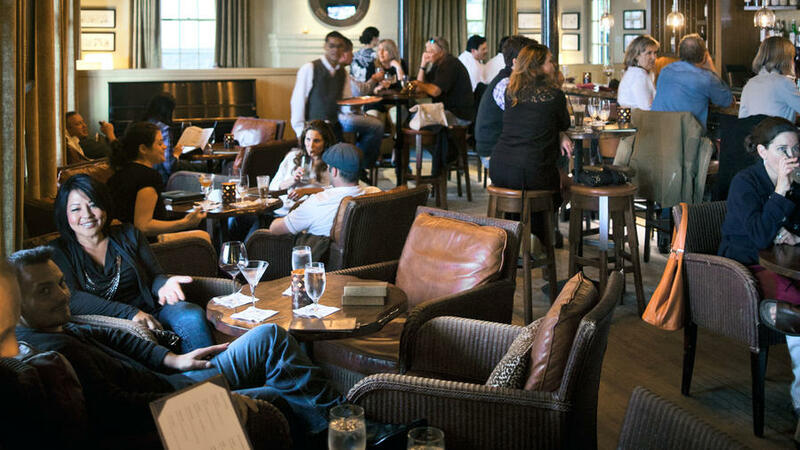 Why we love it: Cozy, convivial Farley Bar, in one of Cavallo Point Lodge’s old army buildings, knows its way around a negroni. Food runs from ceviche to house-baked breads, and the Golden Gate Bridge view from some window tables will lift your heart. Don’t miss: On the walls, the framed comic strips by San Francisco Chronicle cartoonist Phil Frank, whose reporter hero Farley gives the Sausalito bar its name. .
Wuksachi Lodge serves meat loaf and pork tenderloin in the modern/rustic Peaks Restaurant dining room. 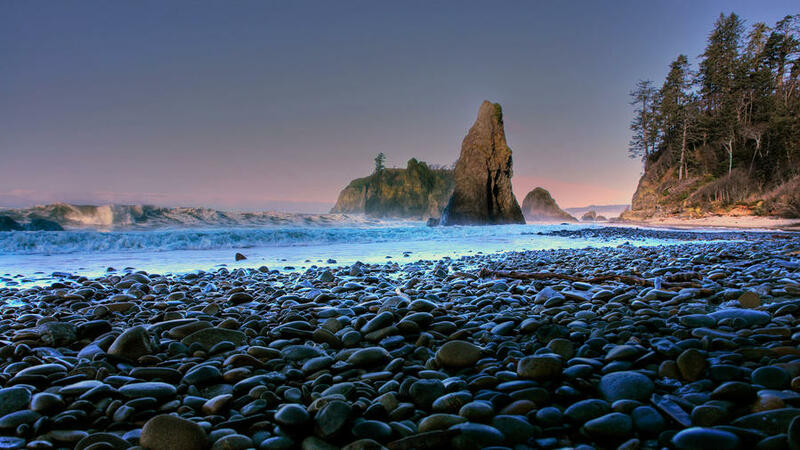 Why we love it: Long beach strolls, skies that veer from sun-splashed to stormy, and tempestuous waves—that’s right, Washington’s Kalaloch is like a college romance. Except here you can take a break from it all with a (legal) drink at the sweet main lodge. The rustic 1920s Bluff Cabins, where weathered fir abounds, hold heart-stopping views of the Pacific. 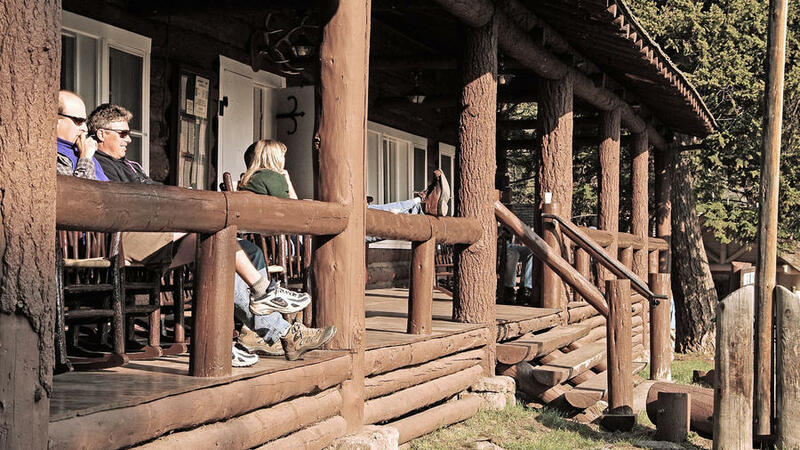 Why we love it: Tucked away near the park’s northern boundary, Roosevelt is what summer camp should be, with Lincoln Log cabins and Wild West activities like horseback and stagecoach rides. Don’t miss: The Old West Dinner Cookout’s sizzling steaks and cowboy serenades. 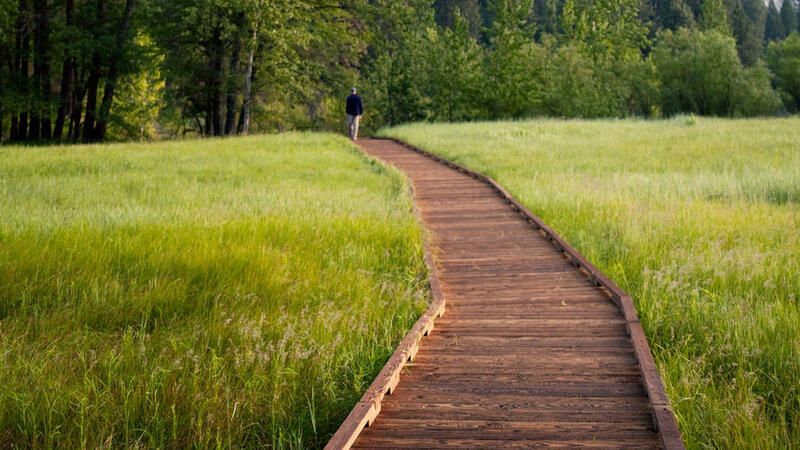 Cabins from $91 (without bath) and $145 (with); . 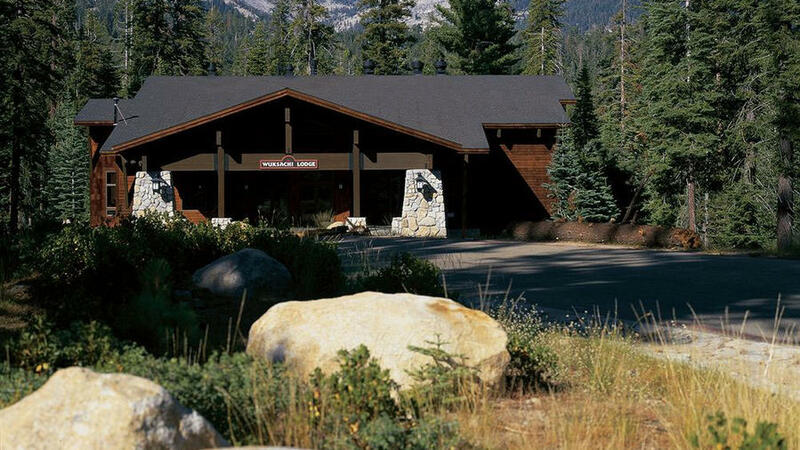 Have a Saturday afternoon barbecue on the lawn of Yosemite's Big Trees Lodge (formerly known as the Wawona Hotel). $27.25; . 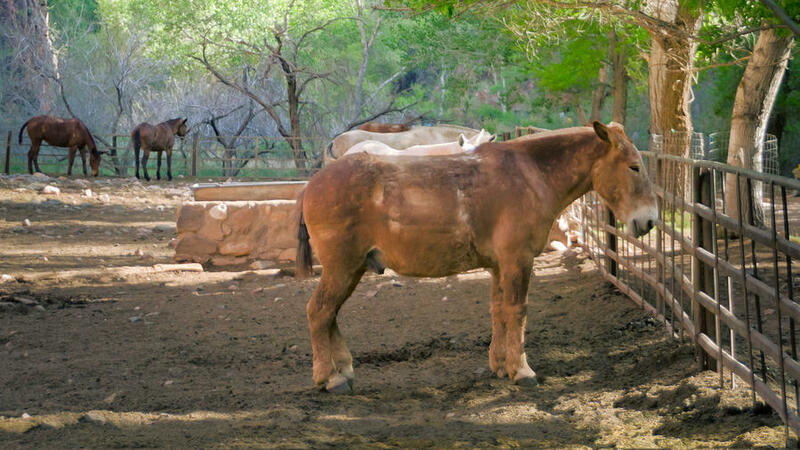 Why we love it: The only way to get to the ranch, an oasis at the bottom of the canyon, is by river raft, a steep 9.6-mile trek, or a mule ride. Mules can also haul your duffel if you hike. Mail? Delivered by mule. 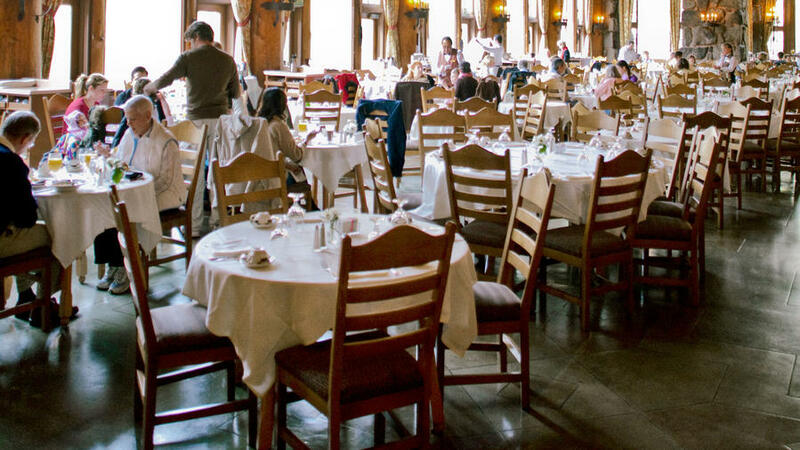 Why we love it: Yes, the Majestic Yosemite Hotel (formerly known as the Ahwahnee) typically books up a year in advance. Too hard to get a room? Fine. But you can still visit the dining room, which, with its lofty beamed ceiling and views of the valley, is one of the most beautiful public spaces in the world. Don’t miss: The regular breakfast, which is less of a production than Sunday Brunch. Get here early, say 7 a.m., and enjoy the room in blissful calm. 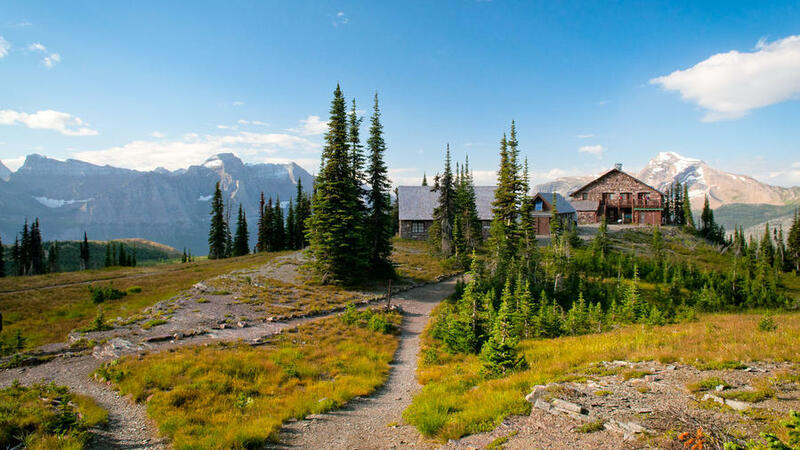 Why we love it: You hike six hours along the top of the Rockies to get to this 1914 Montana chalet, but they’re awe-inducing hours. Life is simple here: You cook your own food in the kitchen, but you get a private bedroom and can rent linen and blankets if you don’t want to lug your sleeping bag. Don’t miss: Wildflower, grizzly bear, and geology workshops ($60 each). Rooms $106 for first person, $80 for every additional guest; . 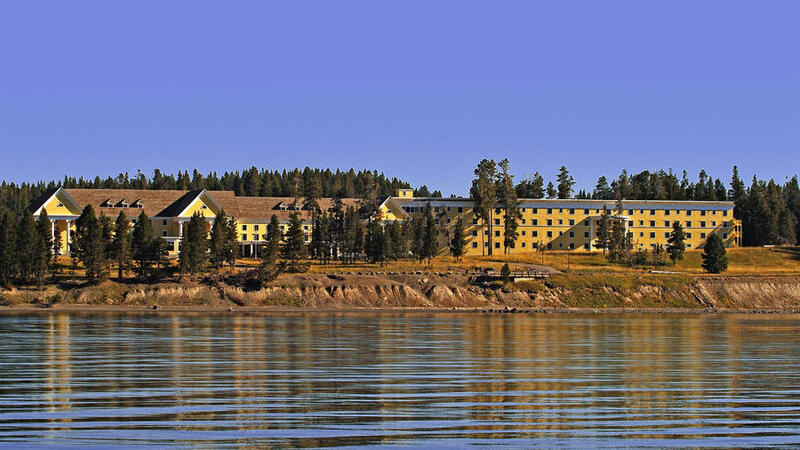 Georgian architecture, string quartets in the lobby—the Lake Yellowstone Hotel is like Jane Austen in the Rockies. From $157; . Узнать как https://sellmax.com.ua недорого с доставкой.